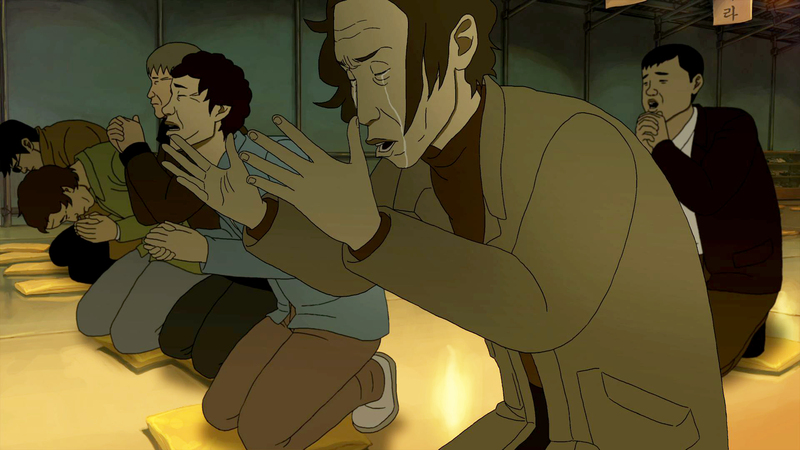 YEON Sang-ho's The Fake has been getting a lot of attention recently and the latest to notice it are the people at the Academy Awards as the director’s sophomore animation has been submitted for the Best Animation award category at next year’s 86th Academy Awards. The Fake, an adult animation about a con artist who swindles villagers out of their money when he comes to town posing as the leader of a fake religion and the wastrel who stands in his way, is vying along with 18 other feature animations for a spot in next March’s ceremony. Other shortlisted entries include US features such as Pixar’s Monsters University, Disney’s Planes and Frozen, Dreamworks’ Turbo and The Croods, Sony’s Cloudy with a Chance of Meatballs 2 and The Smurfs 2, and Universal’s Despicable Me 2. Europe has two entries from France and Spain, one submitted film hails from Africa and Latin America apiece, while Japan has three features on the list, including MIYAZAKI Hayao’s final feature The Wind Rises. Nominees will be announced on January 14th and the actual ceremony of the 86th Academy Awards will take place on March 2nd. However, a smaller shortlist for the category is expected to be announced ahead of January’s nomination announcements. In order to qualify for the Oscars, films must screen theatrically in Los Angeles, thus The Fake is currently on a one week run in the CGV Cinema in the city’s Koreatown neighborhood. The film has been playing twice a day since Friday, November 15th and will end its qualifying run on Wednesday, November 20th.